If you look closely, you can see the ghost drivers. Video games are often considered a form of escapism, but what about the games that attempt to painstakingly model the small intricacies of the real world? Jorge and I aren’t very experienced when it comes to conducting virtual trains, piloting virtual planes, or growing virtual grains, but we are very much fascinated by the strong interest in simulation games. 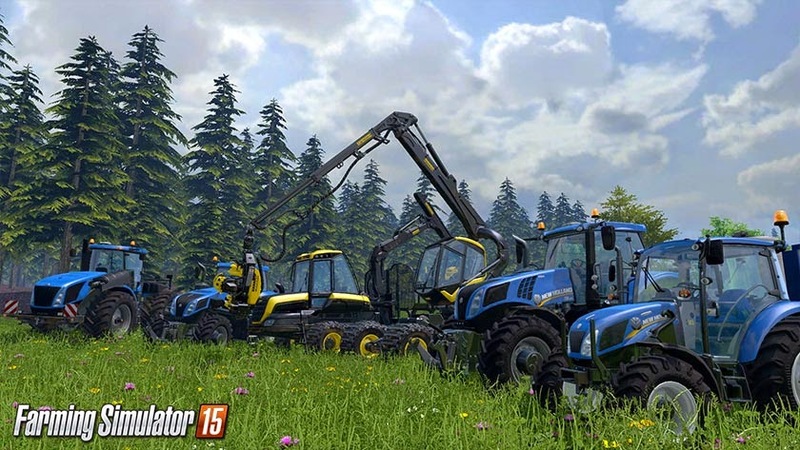 Inspired by a truly magnificent and terrifying trailer for Farm Simulator 15, we dive deep into the mindset and appeal of games about the real world. As a programmer, I really love simulation games because I like thinking about how the designers learned about and modeled the subject they're simulating. There's a saying that goes something like "You know you truly understand something when you can teach a computer to do it for you." The actual act of driving a truck or planting a field may be boring, but I think it doesn't have to be if you zoom in and notice all the little details that make those worlds work, the things you may not even have to pay attention to in the real world because they operate automatically and invisibly. That's a great point, David. Zooming in on the little details can make the mundane parts extremely dramatic. It's kind of like Jenga or a Rube Goldberg machine: the excitement comes from the context and precision rather than the act alone.